A unique artist, using thinly skived or boiled leather as her canvas. 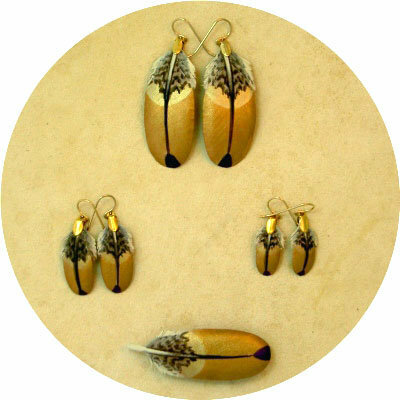 She specializes in intricately painted feather and leaf leather jewelry but also creates bold, abstract wall hangings of leather. Karen Sue, of the Painting Cow Studio, is an amazingly unique artist, using thinly skived or boiled leather as her canvas. 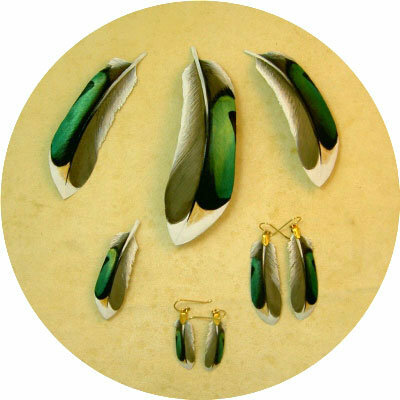 She specializes in intricately painted feather and leaf leather jewelry but also creates bold, abstract wall hangings of leather.